The florist encourages customers to place orders at least a month ahead of delivery date. A month or two gives the florist enough time to compare prices and shop from the suppliers that provide them for the lowest price. If a big event is coming up, plan ahead of time and consult the professional florist for the most beautiful hand bouquet or flower arrangement. Promos and deals allow customers to buy flowers on discounts. Whether you are buying for gifting purposes or for home decoration, the flower shop offers different flower bouquets on discounts. The deals of the day are mostly offered on discounts and each bouquet or flower arrangement of a special item on the list is perfect for any occasions. Discount coupons and codes can also be used and availed. Flowers can be ordered for delivery within the day. If you are sending flowers to gift a celebrant or a special person, choosing same day flower delivery will save you on costs. Most florists deliver the flowers for free when ordered before the cutoff time and have the flowers delivered within the day. Flowers from the local florists offer flowers, mostly local and seasonal flowers for a low price. 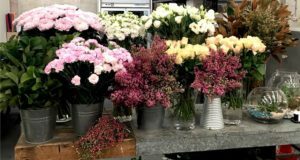 Shopping flowers through the local florist are more convenient and fun, too, because the small shop has about all kinds of local flowers other flower shops in the city do not have. If you are at the local areas in Singapore, it is best to visit their shop and explore what they offer. 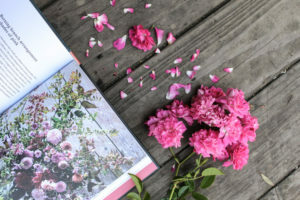 There are many ways to save on the cost of the flowers but these tips mentioned above are proven helpful. On your next flower shopping and flower gifting, don’t forget to look around and make your Flower Delivery more worthwhile and budget-friendly.